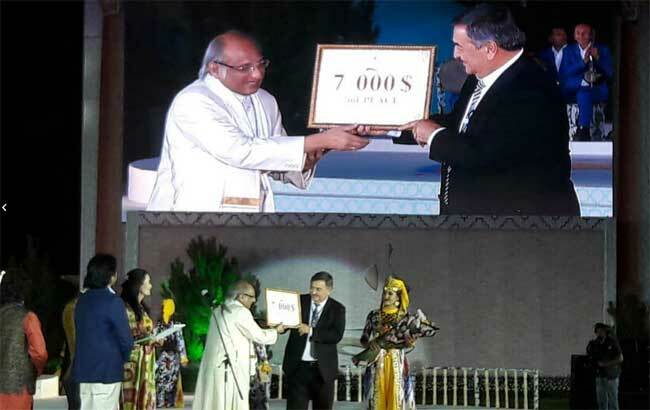 Ustad Iqbal Ahmed Khan from India won second prize worth of USD 7000 in the 1st Maqom Art International Forum in Shakhrisabz city of Uzbekistan on September 6-10, 2018. The international forum is organized on the initiative of the President of Uzbekistan Shavkat Mirziyoyev to broadly promote the Oriental Maqom art, affirm respect among the younger generation and increase interest in national classical music. The President had personally addressed the participants of the Forum on the opening ceremony. More than 300 international guests from 71 countries of the world visited Shakhrisabz to take part in the event. Among them are 162 maqom performers participated in the festival that was covered by journalists from 30 countries. 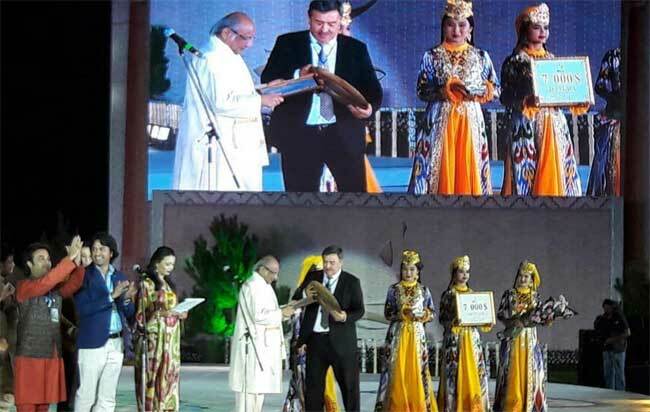 Solo concerts of Uzbekistan and world maqom masters; competition of ensembles, singers and instrumentalists, “Music art of maqom and its role in the world civilization” conference; opening of the Maqom art museum and many other art events took part during the festival. Various exhibitions dedicated to maqom, showcases and sales of national musical instruments, textiles, handicrafts, works of fine and applied art, sculpture, art and plays of documentary films, books and albums were organized on Oqsaroy square in Shakhrisabz. As a result of the Art Forum the Gran Prix was handed in to Tajikistan Maqom Academy and the first place for solo performance given to Nigar Sayfullaeva from Azerbayjan. Ustad Iqbal Ahmed Khan of India was awarded the second prize for his performance in solo category. The third prize went to Turkmenistan’s Sukhanberdi Urozberdiev. Among other nominations winners are representatives of South Korea, Japan, Iran, Yemen and Uzbekistan. Serving the Indian Classical Music for more than 50 years, vocalist Ustad Iqbal Ahmed Khan from Delhi Gharana is well known for his versatility and solid vocal expression. His expertise in a number of forms of music like Khayal, Thumris, Dadras, Bhajans, Ghazals makes his range very wide. His style of classical singing has won him great acclaim. He is a recipient of the Sangeet Natak Akademi Award for his contribution to classical music, known as the khalifa or head of the Dilli gharana of Hindustani music. 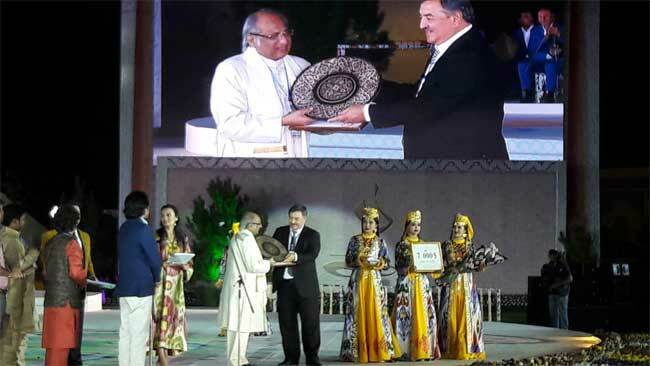 The International Forum of Maqom Art is held for the first time in Uzbekistan. This event will be held every two years. The coordination is in the hands of the Ministry of Culture of Uzbekistan, the Uzbek National Center of the Maqom Art, other stakeholders. The Forum is held under the patronage of UNESCO.